« QlikTip #25: How do you organize your QlikView projects in your file system? Instead of copying some objects to other sheets and having to change the properties of these objects independently you can link some objects together and change these properties only once. All changes will be automatically shared with all other linked objects. Linked Objects in QlikView do not follow a master/sleeve concept, so there is no master-object and other sleeve-objects which inherit their properties from the master-object. When two or more objects are linked they share all properties with the exception of size, position and display state (minimized, normal, maximized). When you change the properties of one object the change is immediately reflected in the other linked objects. Linked objects may reside on the same sheet or on different sheets. If you are making any changes on the shared properties, these changes will be automatically and immediately reflected in other linked objects. So there is nothing special to do. You just have to remember, that size, position and display state are not shared automatically. Use the context menu of the object from where all other linked objects should inherit the size, position and display state and use the command Adjust Position of Linked Objects. So you can decide whether to delete only the selected object or all linked objects. Linked objects share the same object ID. If an object will be unlinked a new object ID will be assigned to the unlinked object. I personally like the approach of creating a sheet which is my template and where I design the structure of the interface placing all objects there which should also be visible on other sheets. If I have to make changes regarding position and size of the objects I am also doing this on the template sheet and then I am using the Adjust Position of Linked Objects functionality (as described above). In production environment I just hide the “Source Objects” sheet with a “Show Sheet condition”. For me this is the perfect solution which really meets my requirements. Good news! Since the linked objects share the same object ID there is no impact on existing applications and macros! Give Linked Objects a try! 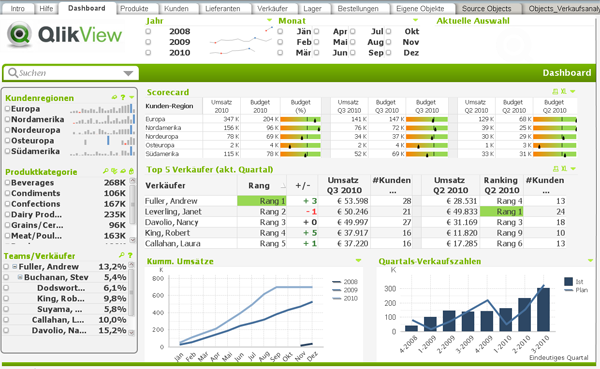 They will make your life as application designer in QlikView much easier! 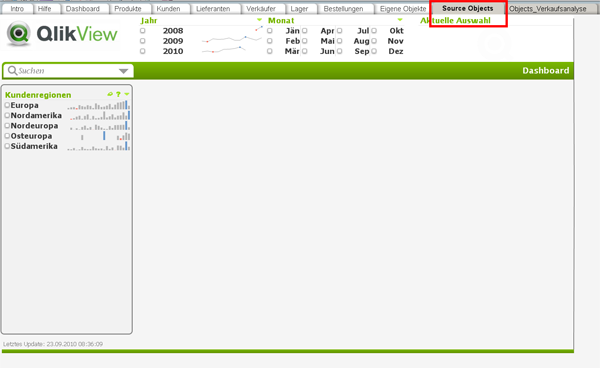 and tagged layout, object Id, QlikView 10, template. Bookmark the permalink. Both comments and trackbacks are currently closed.